Sheikh Sayed Mahmud Mazar in Southern Suburbs of Cape Town. History : The early history of the Cape cannot be neglected for it is here that local Muslims have their roots. Historical research shows that what transpired during the 17th century at the Cape involved not only the Malays, but also large numbers of Indians, Javanese, Bengalese, and even Arabians. In fact, there were more Indians brought to the Cape than any other nationality. Therefore, be we Malays or Indians, our history originated here and cannot be ignored. Firstly, we must look at events in the East which led to Muslims being brought to the Cape. There was power struggle between the Dutch and the Portuguese for supremacy of the seas. There two powers were competing to plunder and loot as much as possible. In order to do so, they build up a large naval capacity in the Asiatic sea. The target centres were places like Bombay, Goa, Cochin, the Coramandel Coast and Bengal in India, Colombo and Galle in Ceylon, Medan and Padang in Sumatra, Patani in Malacca, Batavia and Bali in Java, as well as smaller islands like Macassar, Rotti, Timor, Ternate, Tidore and others. Very soon, the inhabitants began to resist and united to form defences against the imperialist tyranny. The men to lead the people were of a high calibre; men of great spiritual intellect who commanded a great deal of respect from the communities. They were however cunningly captured, and together with their followers, banished to the Cape. “the slaves” arrived here with chains around their necks, leg-irons and handcuffs on their wrists, but their minds could not be chained. These very ‘slaves’ were the leaders of resistance against the Dutch colonialist and exploiters in the Far East. These ‘slaves’ did not have experience in battles, but they brought with them a supranational ideology of liberation …the ideology of ISLAM. It is said that 250 years ago a prophecy was made that there would be a “circle of Islam” around the Cape. According to local beliefs the circle is complete. 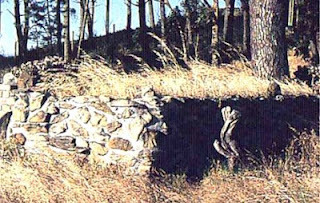 Comprising the tombs of Saints and Auliyah (friends of Allah) who were brought as slaves to the Cape. It starts at the old cemetery on the slopes of Signal Hill, just above the quarry in Strand Street, where two saintly men lie buried, the circle continues to two graves on top of Signal Hill. 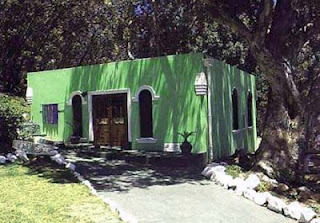 the circle then continues at a grave much revered, situated above Oude Kraal beyond Camps Bay, and sweeps around the mountain to a Kramat at Constantia, on the Tokai Road. The circle proceeds to the most important and widely known of all tombs, the Kramat of Sheikh Yusuf at Faure, on the farm Zandvleit. The circle is complete by an old tomb on Robben Island. Modern pilgrims can visit all, except the Island Tomb, in a single day. It is claimed that Sayed Jaffer was banished to the Cape of Good Hope by the Dutch East Indian Company, he was only discovered at the end of the nineteenth century. Sayed Jaffer’s grave can be reached by a few steps leading off Victoria Road just past the Bakoven bus terminus. These steps lead to an easy pathway virtually next to the jeep track on the mountain slope. 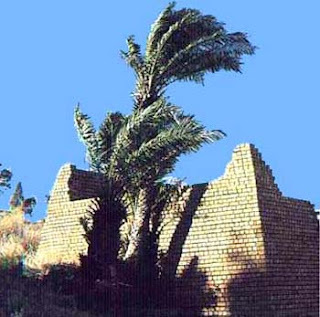 Along the Signal Hill ridge, but towards Campbay on the Campbay Bay Drive side, lies the grave of the lesser known Shiekh Ali also known as Sayed Bassier. 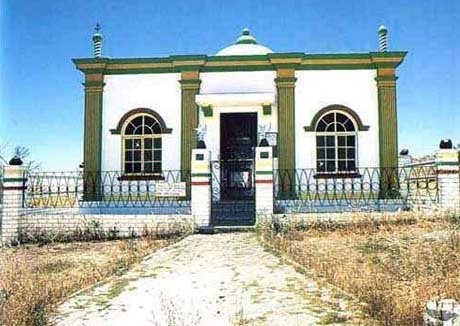 Of the three prominent Auliyah buried on the hill facing the Atlantic seaboard, the one nearest to Oudekraal,, appears to be the better know. The man buried there is Sheikh Noorul Mubeen. His grave is reached by ascending the 99 steps leading to it from Victoria Road up the mountain slope. 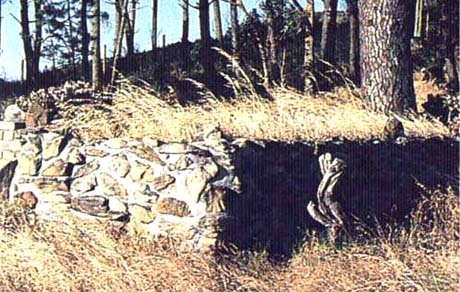 The tomb, a simple, recently renovated building, stands besides a stream. Other side of this stream is another set of steps leading to the grave higher up. Some believe the wife of Shiekh Nooral Mubeen lies buried here while others believe it is one of his followers. Sheikh Noorul Mubeen was apparently banished to the Cape in 1716 and incarcerated on Robben Island. According to a popular legend he escaped from Robben Island by unknown means and came to make his home in this desolate spot. Soon he made contact with the slaves on the estates in the area, teaching them mainly at night, the religion of Islam When he died, he was buried on the site where he had most frequently read his prayers. Those who visit the grave of Sheikh Noorul Mubeen find there is a quiet serenity, an ideal spot for meditation, away from the rigours of urban life. It is claimed that Tuan Kaape-ti-low was a general from Java in Shiekh Yusuf’s army and was exiles to the Cape with the great Sheikh. This oral tradition cannot be verified in official records, in the community Tuan Kaape-ti-low is also referred to as ‘Jawhi Tuan’. 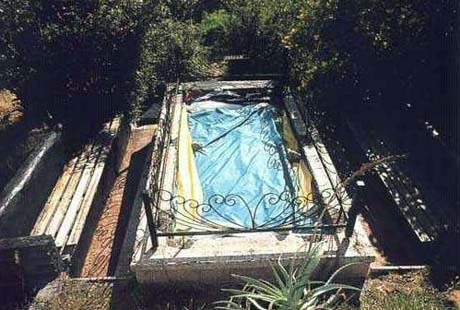 Of the Auliyah buried at the Tana Baru, Iman Abdullah ibn Abdus Salaam (Tuan Guru), is the best known. He was a practice from Tidore in the Trimate islands, who traced his ancestry to the Sultante of Morocco. His ‘crime’ is not clearly known, though it would appear from the records of Robben Isalnds, that he and other, Islam. That he and others, namely Callie Abdul Rauf, Noro Imam and Badroedien, were involved in a conspiracy with the English against the Dutch. They were captured by the Dutch and brought to the Cape as State prisoners on 6 April 1780 and incarcerated on Robben Island where Collie Abdul Rauf and Badroedien died. On his release from Robben Island in !792, after twelve years of imprisonment, Tuan Guru went to reside in Dorp Street, then the main residential area of the Muslims in Cape Town. It was while he was staying in Dorp Street that he saw the need for the establishment of a Muslims school or madrasah. 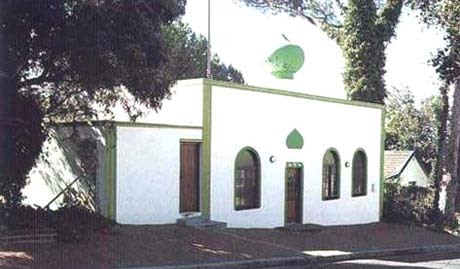 Thus in 1793, the Dorp Street Madrasah was established. Tuan Guru’s first concern was to teach his students, mainly Free Blacks and Eastern slave children, to read and write Arabic. Hence he was nicknamed ‘Tuan Guru’ meaning ‘Mister Teachers!’. His second major concern seemed to have been acquiring a venue at which to perform Juma’ah. His application for a mosque site was refused. Nonetheless, Imam Abdullah led the Cape Muslims in an open-air Juma’ah in the disused quarry in Chiappini Street. It is extraordinary man, who after a prison sentence of 12 years could forgive his goaler and help him keep law and order in the very city to which he was banished. Such a man was Tuan Sayeed Alawie. He became a policeman in Cape Town. He obviously had a motive in becoming a policeman. The job gave him access to the slaves, and hence an opportunity to teach them Islam. Tuan Sayeed Alawie was a citizen of Mocca in Yemen, the southern portion of the Arbian peninsula. There is no certainty as to whether he was brought here directly from Mocca, or from Indonesia where he was a missionary. Nonetheless, he and a fellow prisoner, Haji Matarism arrived at the Cape in 1744. They were classified as Mohammedaansche Priesters, who had to be kept in chains for the rest of their lives. When Tuan Sayeed Alawie died in 1803, he was buried in the Muslim cemetery at the top end of Longmarket Street. Those who loved him erected around his grave a simple wall. It was a structure very much Cape in origin, but symbolical of the simplicity of his life. The tombstone of Robben Island slate was wrapped with white cloth, stained with the oils of the atars and other scents which his devoted followers sprinkled on it. The shrine of Tuan Sayed Abdul Malik of Batavia is to be found in Upper Buitenkant Street, near St Cyprains School, Vredehoek. 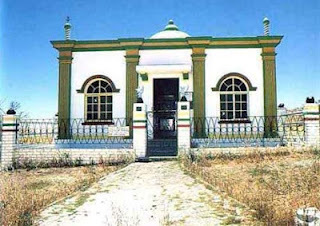 Today the grave of Sayed Abdul Malik is situated inside a beautiful green and white attractive Mausoleum whose arched windows and domes add an eastern feelings to the surrounding. Sayed Abdul Malik arrived here near the end of the eighteenth century as a slave. At the Cape he married the free born woman, Ruska of the Cape, whom he claimed on his will to be the mother of his children. He became involved with Tuan Guru in the established of the Dorp Street Madrasah. Tuan guru had so much confidence in him, that he appointed him the executer of his estate, as well as the guardian of his two sons. Another are which seemed to have provided accommodation for runaway slaves is the nature reserve area at the foot of Table Mountain, today called Deer Park, the forest itself would have provided a convenient hiding place. 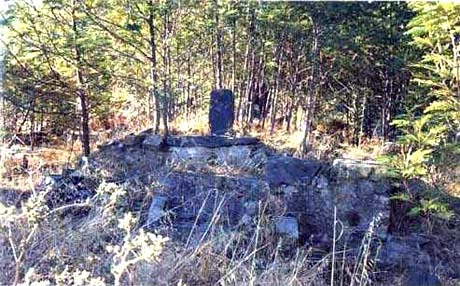 There are at least five graves of Auliyah along the mountain stream running through the park. Oral sources give their names as: Sayed Mohammad Illahie. Oral history relates that the grave of Sayed Abdul Haq was discovered by a lady who used to do her washing at the mountain stream. She regularly saw a person performing his prayers at this site. Where he came from and other details of his history are unknown. All that is known about him is that he was a member of the Qadariah Tariqa. 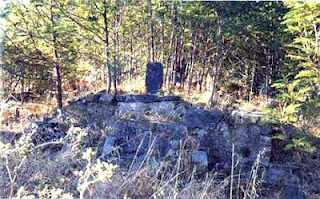 The shrine is situated in the mountain ravine, adjacent to a fast flowing mountain stream. The title ‘Sayed’, on the name plate at the grave suggests that he might have been a descendent of the family of the prophet Muhammad (SAW). But that as it may, the followers of Sayed Abdul Haq have reverend respect for their spiritual guide. Tis is clearly evident from the impeccable condition of the shrine and its surroundings. The mountain ridges around Devil’s Peak and Table Mountain are filled with mystery. Spiritualists of all religious Persuasions agree that there are powerful spiritual centres situated on and around the ridges of these mountains. On Devil’s peak, just above De Waal Drive, many graves are found. Two of these graves are covered with satin cloths normally used to cover the graves of saintly persons. Neither the names of the saints nor the spiritual brotherhood to which they belong to is known. 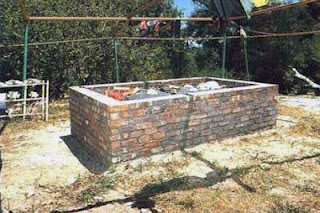 These grave according to several Muslim spiritual are not the only to grave of Auliyah buried on Devil’s Peak and Table Mountain. The oral tradition also claims that there are several auliyah buried on these slopes which has as yet not been identified. One such grave is that of a mysterious auliyah, Sheikh Abdul Kader. The location of his grave was only known by a few selected confidants of the Sheikh. They were told to keep the location a secret. Those who related this legend also speculated that Sheikh Abdul Kader is the divine guide referred to in African folklore. Robben Island first gained notoriety as a prison for eastern political exiles, sultans, spiritualists, convicts and slaves. It is a reminder of the injustices and the ill-treatment afforded these prisoners that a Kramat is to be found on the island. The eastern political exiles and convicts are truly the pioneers of Islam in this country; and thus Robben Island becomes very much a part of history of the Muslims in South Africa. 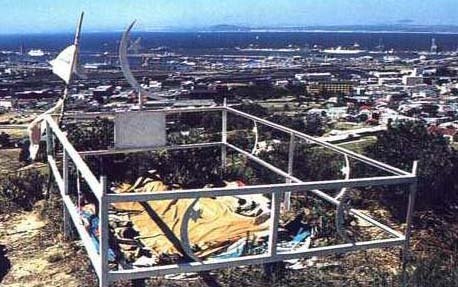 The shrine on Robben Island, is a symbol of the struggle for the establishment of Islam. 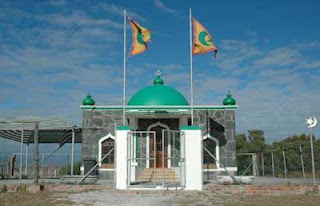 It is an expression of Islam’s power, having survived all kinds of restrictions, prejudices, imprisonment and oppression in the land called ‘the fairest Cape on the circumference of the earth.’ Ironically, this shrine was constructed by the Apartheid Prison authorities in the 1960s. Tuan Matarah also known as Sayed Abduraghman Motura was reputed to have been a very learned and religious man. He spread the message of Islam and consoled those experiencing difficulties. He was known for his wonder cures and the comfort be brought to is fellow prisoners when they were ill.
Tuan Matarah died on Robben Island. Upon his death, his grave soon became a respected shrine. Here those who knew him came to meditate and seek consolation for their suffering. Their example was followed by other prisoners who arrived after his death. On their release, they talked extensively about the holy man who lies buried on Robben Island. 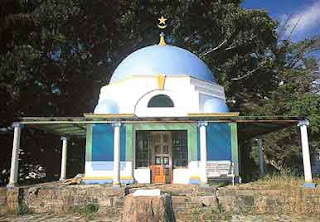 An equally prominent Wali and a contemporary of Tuan Sayeed Alawie who lies buried in the Tuan Baru cemetry, is Paay Shaapie de Oude. He is also known as Imam Norman. Though his real name is Tuan Nuruman. Tuan Nuruman is the only Wali whom we definitely know was a slave. He arrived in Cape Town in 1779. He was housed in the slave lodge, the present Cultural History Museum at the top end of Adderly Street. In 1786, he was approached for an azeemat by group of slaves who planned to escape. He eagerly consented. 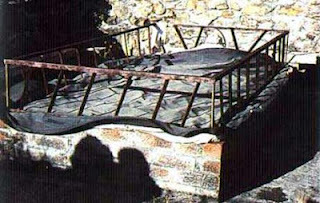 Unfortunately, the slaves were captured and the azemat found on them. The authorities used this as evidence to implicate him the crime of assisting slaves runaway slaves. He was incarcerated on Robben Island. On his release, he did not take up lodgings in the slave lodge, but settled among the free blacks in the city. As a free man, he again became involved in religious activities, offering as Iman at all communal functions.